or in your favorite armchair with a cup of coffee or cocoa! 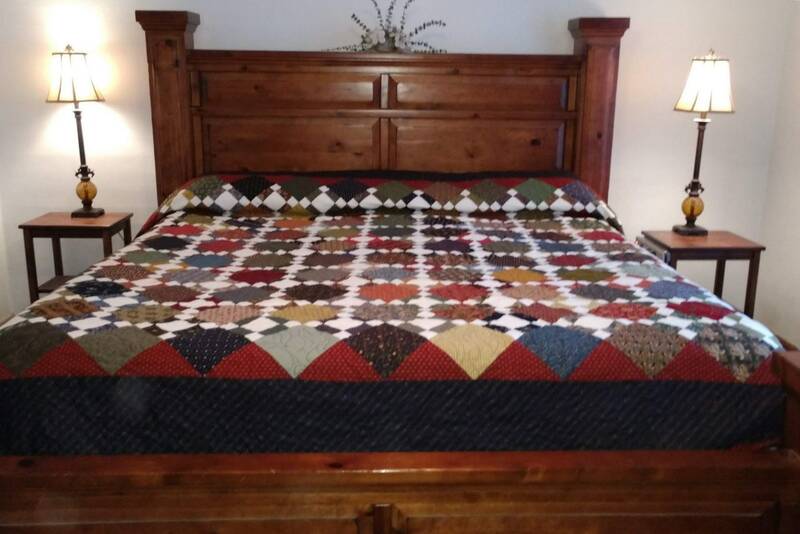 This quilt is so adorable with blocks of varied vintage themed fabrics. 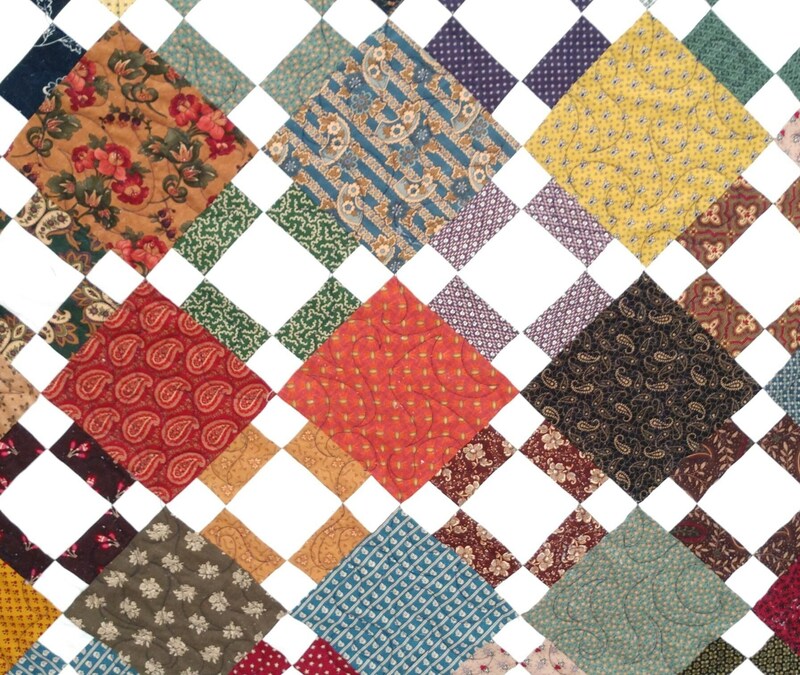 ALL NEW FABRICS ARE USED IN THIS QUILT. 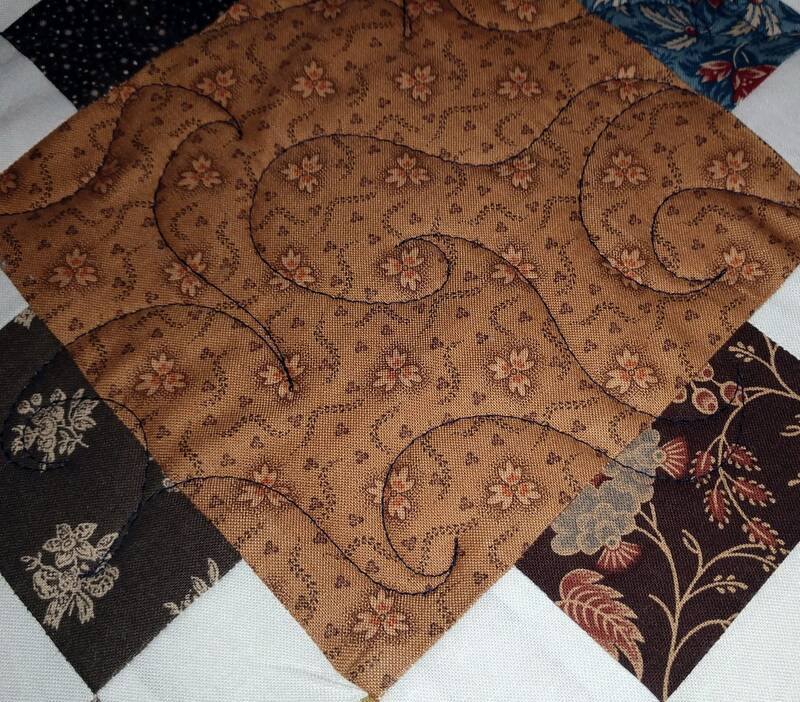 The quilting stitches are in a swirl/hook pattern, one of my favorite signature custom quilted stitch patterns. The background around the center blocks is coordinating rich red and navy blue borders. It is 106"x98" and will comfortably fit a king size bed, It can fit on a queen sized bed, and will hang down the sides a bit further. Photo taken on the bed is a king size. 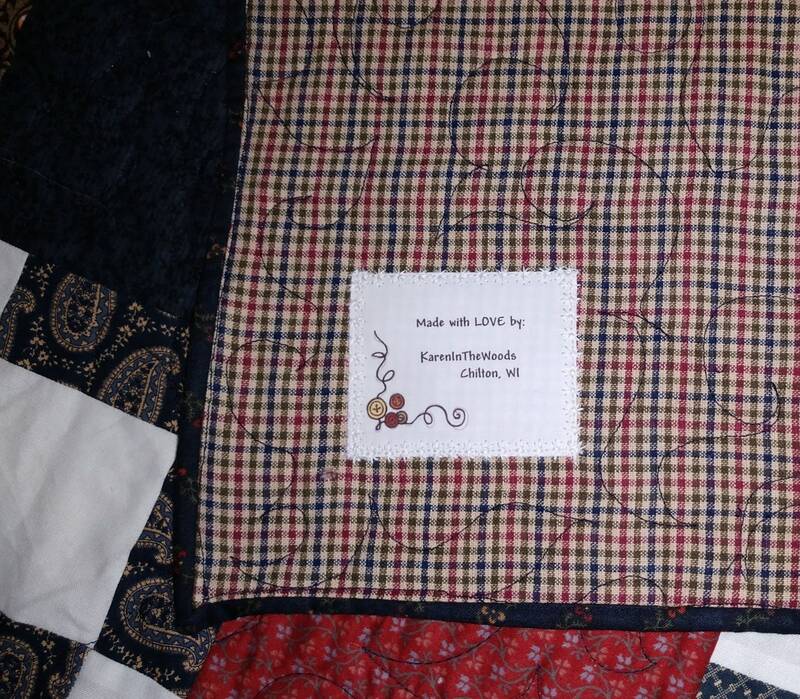 The back of the entire quilt is a small checked fabric in blues, reds, greens and golds on a cream background. 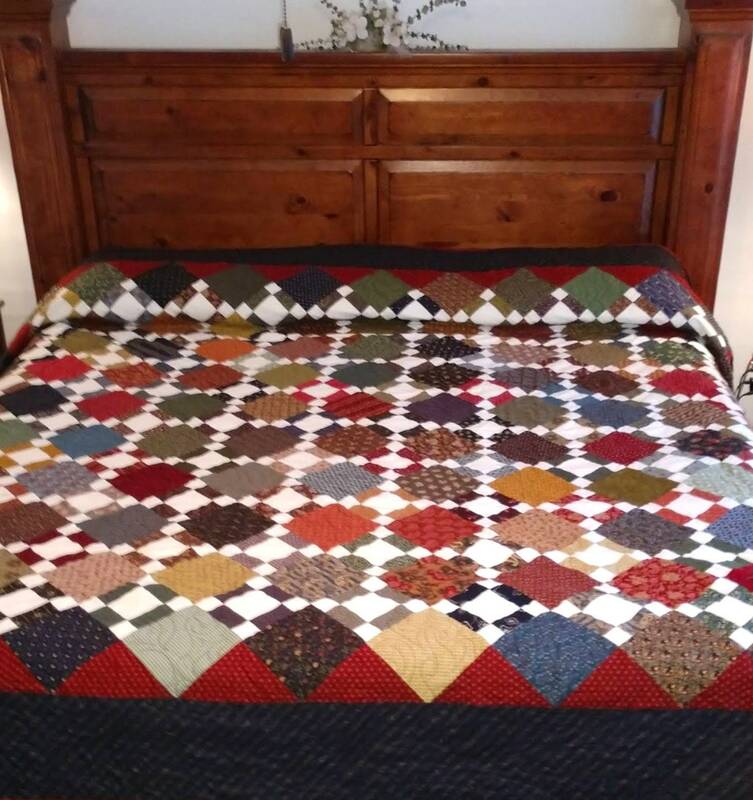 I created the quilt myself from start to finish, with my tag on the back corner. 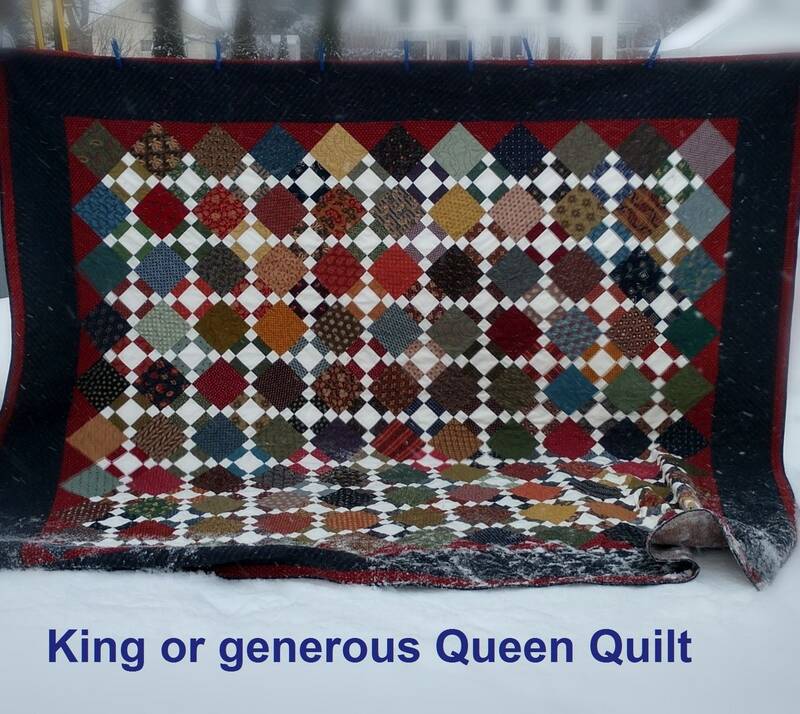 It is based on a pattern by Bonnie Blue Quilts. 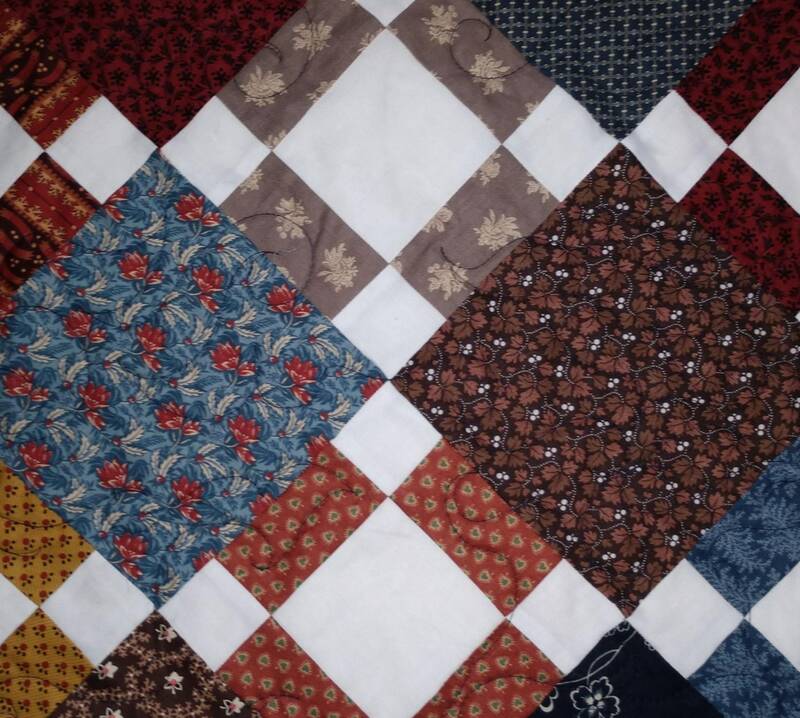 I start out piecing the blocks, while tucked away in my sewing room of my 103 year old stout German house. 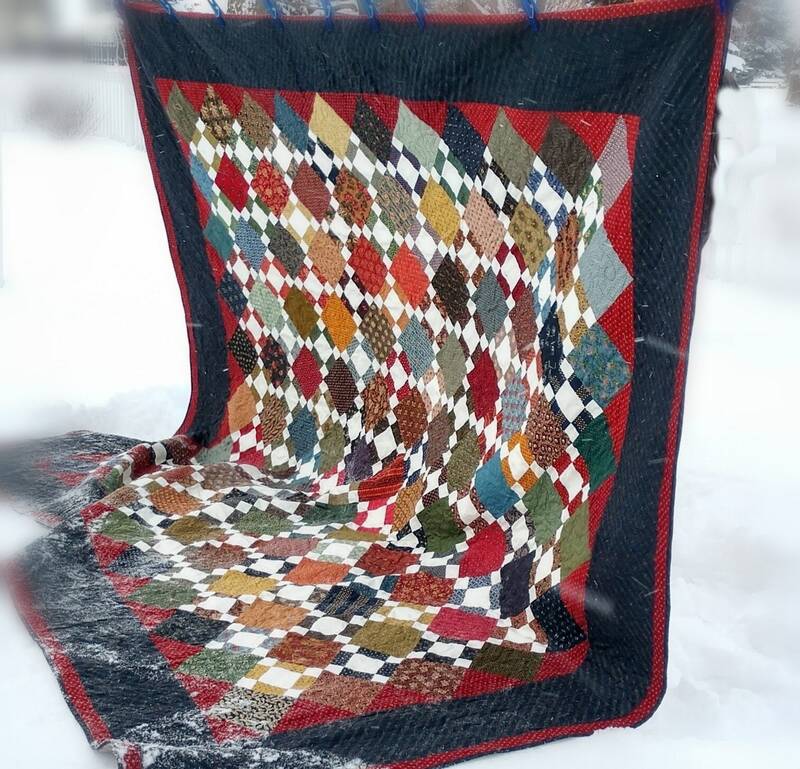 I started the quilt in December once the snow started to pile up in Wisconsin. Soft celtic music playing while I stitch away, with my two sheltie dogs at my feet. This quilt is created with happy thoughts. Next, I sandwich it with Warm and Natural cotton batting and coordinating checked fabric backing. I finish it by myself with the free motion quilting stitches that are hand designed. 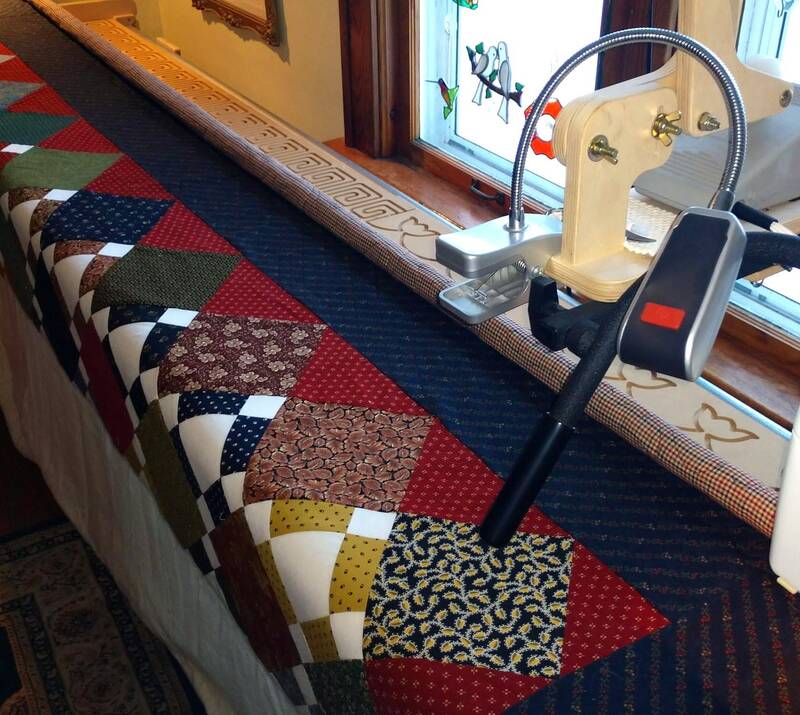 I use a domestic sewing machine on a quilting frame to hold it evenly and under tension. Nothing is computerized, all the swirl and hook stitching comes from my hands guiding the machine over the quilt. Nothing is contracted out to someone else to do. 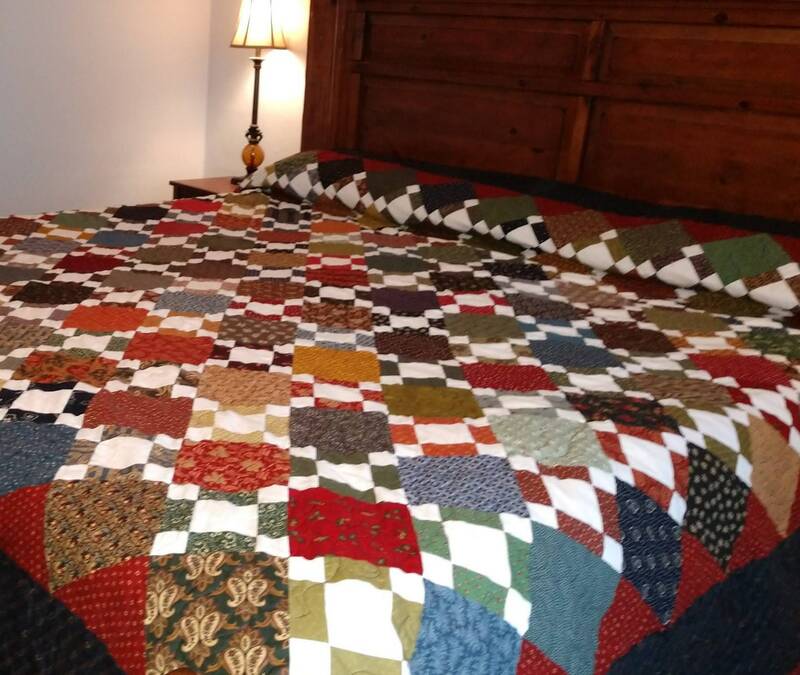 Please love this quilt ~~~ with as much love as I gave while making it! All NEW cotton fabrics are used. Wash gently with cool water and hang to dry or tumble on low/delicate. I accept Pay Pal and Visa, Discover, American Express and Mastercard through Etsy. I suggest to add insurance and I recommend Delivery Confirmation be added to all shipments. I ship through the Postal Service. I will ship within 24-48 hours. I will refund any shipping costs over the actual cost of shipping. I will ship overseas. The buyer is responsible for all duty/taxes/ VAT levied in their country. Note that it can take 10 -14 days for international shipping, sometimes longer due to customs which I have no control over once it leaves the US.